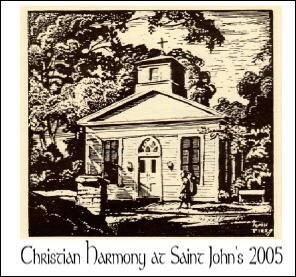 CD's of singings at St. John's Church (Rutherfordton, NC) are available here. There is also information on obtaining books. The videos cannot replicate the live experience. Find a singing and your area and come see for yourself. I promise you will receive a warm welcome! 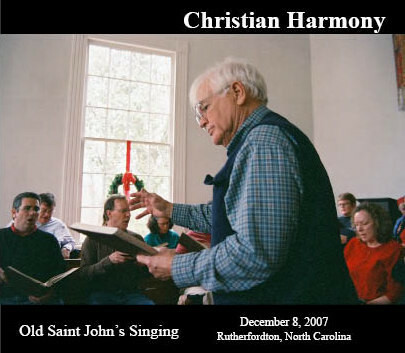 The Glory of the Cross" from the Cooper revision of "The Sacred Harp." The melody sounds similar to "The Penitent's Prayer" to me. I will not post a lot of videos here. There are many on YouTube and probably elsewhere. I may have a "rotating video" of what I find that is meaningful to me at any time. Today, this is one. Dave Hogan and Carl Swan interviewed Don Wiley and Randy Sanders. This was for the November 2007 singing at ETSU sponsored by the Center for Appalachian Studies and Services. Sheri Walker joined me to talk about our local singing community. The files will play with your computer's mp3 player. If you do not have one, you can download Windows Media Player.